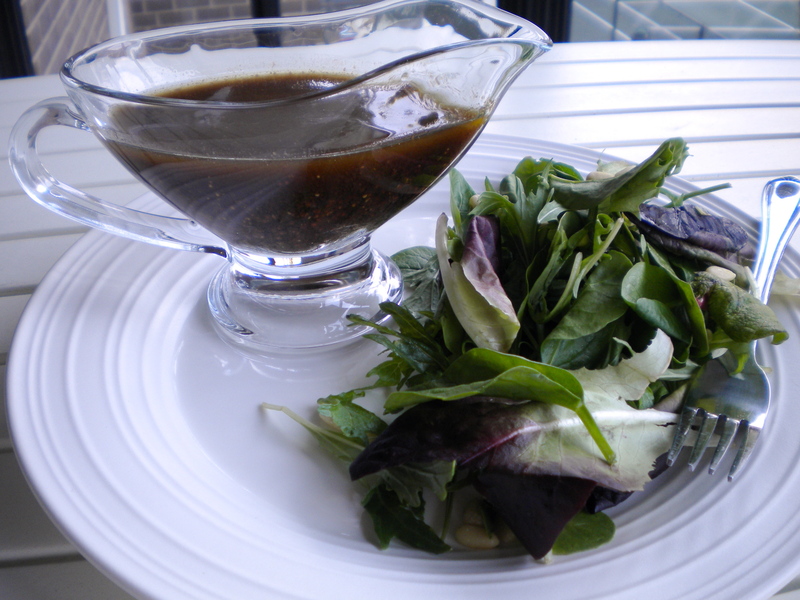 Basic Balsamic Vinaigrette – Voila! It’s the latest trend in our house. I make different vinaigrette’s, they taste great and last for about a week. We eat a salad with almost every dinner so this comes in handy! The best part is that the recipe is super flexible so you could add different vinegars or ingredients to turn out a whole new salad dressing. The variations are suggested below the recipe. What one is your favorite? 1. In a 2-cup glass measuring cup, whisk together vinegar, mustard, salt, pepper and sugar. Add olive oil and whisk until completely combined. Pour over salad, toss, eat! Cover the rest with saran wrap and keep in the fridge. NOTE: The dressing may congeal a little bit after day two or three in the fridge. Have no fear. Let the dressing come close to room temperature, whisk it all together again and Voila! it’s back to normal.